Activate cheat codes to improve a Sim's lot in life. Cheats for "The Sims 2" on PlayStation 2 can help you control your Sims' lives, and food hints will keep your Sims alive longer. Also below are various locations that you can unlock if you follow the directions precisely. 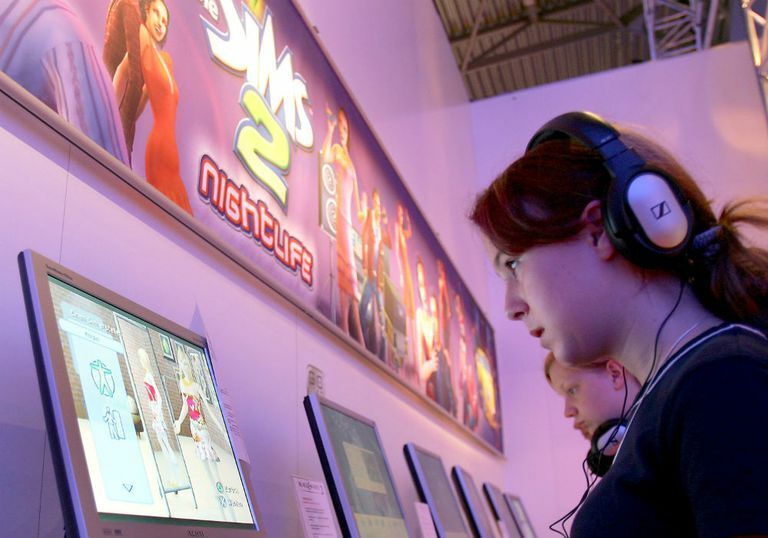 "The Sims 2" is a life-simulation video game published by Electronic Arts in 2004. As part of the game, you create a Sim or Sims, humanlike virtual characters who make their way through life, from birth to death. It's up to you to choose your Sims' names, genders, jobs, where they live, what they wear, their relationships, and much more. The Cheat Gnome/Trophy is how you use cheat codes in "The Sims 2." To activate the PS2 cheats, start by pausing the game. Then, enter L1, R1, Up, X, R2 by pressing the corresponding buttons on the PS2 controller to activate the Cheat Gnome. It looks like a statue or trophy and appears near the mailbox. The key to entering cheats in "The Sims 2" on PS2 is to enter the Cheat Gnome cheat first, then enter the other cheats. After you've enabled the Cheat Gnome, you can see the cheats you've entered; just select which ones you want, and then activate them. 1) Do not use this code when a Sim is at work or away, since this might cause problems regarding their return. With that being said, this is how you can choose to live alone: get a job for all the Sims that live with you, and use this cheat code to send them to work, and then again before they get back. 2) While playing the game, select the Cheat Gnome, Interaction/Location > Change Skill > [name]/Change to [number]. 3) The Cheat Gnome is not required to use this cheat code. Enter it at the title screen, after which you should hear a Sim voice and will be able to take a team photo. 4) You can get extra clothes for your Sims when their relationships reach 100. With each new 100 milestones, a new piece of clothing will be unlocked. Alien Crash Site To find the Bio Dome lot, make the alien XY-XY Smith friends with Jonas and complete all of his requests. Cliffside Retreat Make Isabella Monty happy and fulfill any of her wishes. HMS Amore Fulfill Betty Buttercup&apos;s requests (like to marry Captain Nelson) until she&apos;s Platinum so that she&apos;ll tell you the next location. Jugen House To find Alien Crash Site, fulfill Toothless Joe&apos;s dreams until the Sim gets an aspiration called "Visit New Location." Return to Tranquility Falls so that your aspiration changes to "Help Chantal." Keep completing her desires until she&apos;s Platinum. Orbit Room To find Tranquility Falls, befriend Red S and give him some food. Move back to Sunset Canyon and make Helga fall in love with and marry Red S. With Red S now living there, do whatever is necessary to boost his mood to Platinum so that he&apos;ll tell you where to find Tranquility Falls. Shoreline Trails Purchase a foosball table and beat Torin to complete the "Beat Torin at Foosball" Want when it becomes available. Sunset Canyon Resurrect Sheila, Billy, and Helga, and then build a kitchen, clean up the mess, construct a bathroom, and give all three of them beds. They&apos;ll tell you the next location. Tranquility Falls To find Jugen House, fulfill all of Chantal&apos;s and Larry&apos;s wants to push them into a Platinum mood. Hunger satisfaction is the one need that can kill your Sim if it's not satisfied. You can get free harvested food by buying an item that can have food harvested from it, harvesting the food, and selling it back so that you can buy another. If you're low on money, consider selling off your kitchen supplies like the refrigerator and stove. From that money, you can buy a Fruit Punch Barrel to satisfy your hunger.